Boca Raton Dentist, Dr. Leon Gerard. World Class Smiles! One of the hallmarks to Dr.Gerard’s success is his drive to excel! This same drive led him to leave New York City after high school, receiving his BA and Master’s degree in Biology from the University of California at Santa Barbara. Focusing his attention on Dentistry, Dr. Gerard returned to New York, attending New York University College of Dentistry where he studied for a year before transferring to the Marquette University School of Dentistry in Milwaukee, WI. Here, in 1983, he earned his Doctor of Dental Surgery degree with extra specialized training in Prosthetics and Restorative Dentistry. Dr. Gerard was then invited into the prestigious Eastman Dental Center affiliated with the University of Rochester in Rochester, NY where he completed his General Practice Residency. 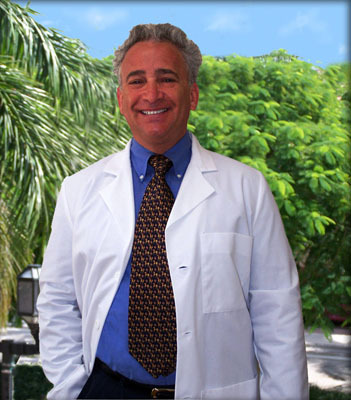 In 1986 Dr. Gerard moved to Pompano Beach, in South Florida. He opened his current dental practice in Boca Raton, in the Royal Palm Plaza, in January, 1988. Dr. Gerard has remained committed to staying current with all the amazing new developments in dentistry by maintaining memberships in many professional organizations and study clubs, as well as, attending innumerable Continuing Education seminars and conferences. Not the least of these are multiple certificates for completion of courses presented by the International Team for Implantology, ITI, offered here in Boca Raton certifying Dr. Gerard in use of the Straumann Dental Implant System. Respected by the leading specialists in South Florida for following a restorative-driven protocol, Dr. Gerard is routinely called upon to complete the most complex cosmetic and prosthetic reconstructions, utilizing veneers, crowns, bridges and dental implants.